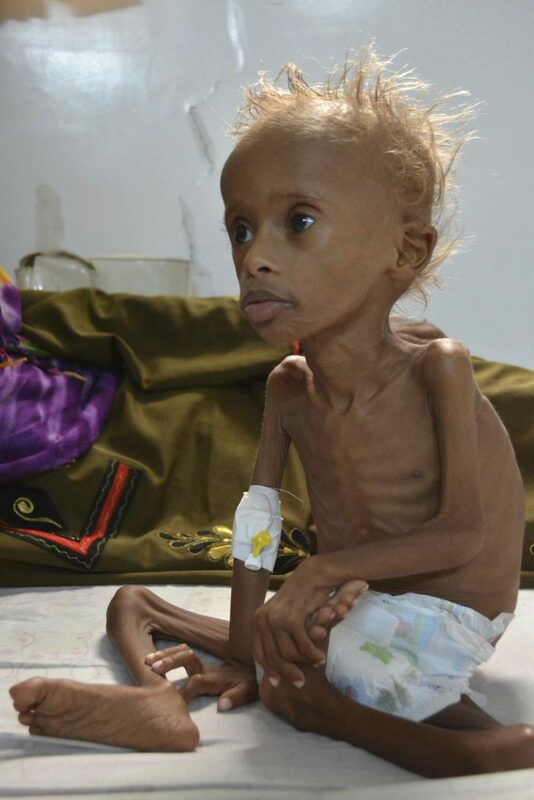 Time to Stop Pretending the Yemen Famine Isn’t Happening! When the BBC report on the Yemen crisis came on last night, I was close to turning it off, or onto another channel. That’s because like everyone else, there is only so much depressing stuff my brain can take, especially along with the utter shambles that is Brexit as it draws to its ugly conclusion. However, I decided I would force myself to see it through. It soon occurred to me that one of the problems with the crisis in Yemen is that we don’t want to believe it is happening. It is a strange kind of denial because deep down, we know that at least in part; we are responsible for the impending famine in the region. We are responsible, because we are deeply entrenched in oil and arms deals with Saudi Arabia but we have no clear way out. We have danced with the devil and there is apparently no escape, especially as we will need all the economic allies we can get after Brexit. We need to be honest here and admit that if any other nation was undertaking mass bombings of civilian hospitals, publicly hanging perpetrators of petty crime or adultery and knocking off independent journalists, there would be trade embargos and even military force in attempt to stabilise the region. However, the UK has fallen into a trap and now Saudi Arabia can do what they want, when they want. Nothing can be done about it, or if something can, no one is doing anything about it. The BBC report last night has been a long time coming but if any of you watch Channel 4 News you would have seen these shocking images before. It’s an inconvenient truth that Britain has been caught up in and if anyone has been unable to contemplate why terror networks emerge from such events, this human tragedy should make it pretty obvious. We are supplying arms to blow up food and medical supplies being sent to innocent civilians. Whoever is dealing with this backward nation that has beheaded over 2000 people since 2014 as well as other human rights abuses such as giving 1000 lashings to a woman blogger who was critical of Islam, has got their work cut out. What should they do? Just ignore it like a post-Christmas credit card bill and hope it goes away? Untangling trade deals and other geopolitical agreements is obviously not an easy thing to do and I am not even going to pretend I know much about how we are tied into oil and arms deals with these maniacs. However, there has to be a point when the world stands up to bullies like Saudi Arabia and stops them dictating terms whilst at the same time, they are behaving like savages. Surely we can’t just let them carry on as we hide underneath the bunting of another Royal baby? Otherwise we are no better than savages ourselves. No Replies to "Time to Stop Pretending the Yemen Famine Isn't Happening!"